IBM has had some high-profile non-compete disputes the past couple of years, and it has found itself on both the winning and losing sides of those cases. Just last week, IBM suffered a defeat in a preliminary injunction proceeding which concerned Giovanni Visentin's acceptance of employment with Hewlett Packard. Visentin was employed by IBM in numerous roles over the last several years. From 2007 through the end of his employment at IBM, he was General Manager of IBM's Integrated Technology Services (ITS) business segment. Visentin gave notice of his resignation in January and joined HP to be Senior Vice-President, General Manager, Americas for HP Enterprise Services. A federal district court in New York denied IBM's motion for a preliminary injunction to enforce the non-compete agreement Visentin signed with IBM. 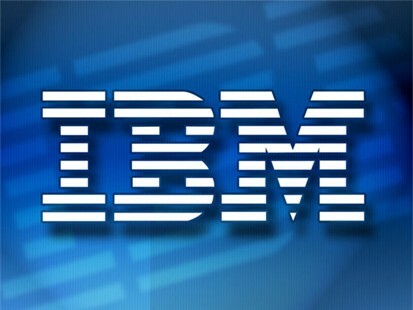 The court found that IBM did not have a protectable interest in certain categories of business information Visentin had access to and which IBM contended were confidential or trade secret material. The court analyzed several of these categories and concluded, in large part, either that the information claimed to be confidential was not specifically identified or was already public knowledge. The court further found the terms of the non-compete agreement to be overbroad and unenforceable. The primary reason for the overbreadth finding was the scope of the activity restraint. 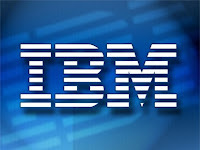 The court held that the agreement prohibited competition in areas where IBM had no presence, such as retail and laptop printer sales. The opinion is fairly lengthy and detailed, and there is little point to summarizing all of the categories of information IBM asserted protection over and what the testimony was at trial. But there are two really important points to take away from this case, one an observation and one an opinion. First, HP did exactly what an employer in a competitive hiring position should do. It clearly put a great deal of thought into what types of responsibilities Visentin had at IBM and was careful to ensure there was relatively little overlap with his new job at HP. It also required him not to use or disclose any IBM information in his new position. Combining this with the fact Visentin did not take anything with him after leaving IBM, the judge credited much of the defense testimony. Second, this reasoning behind this decision is still somewhat shocking. The court noted on many occasions that Visentin was a very senior manager who was not a technological expert and who was not on the front lines dealing with clients. According to the court, he had little knowledge of how deals were priced and what metrics went into client proposals. Visentin's defense, effectively, was that he was too senior to know anything specific. The way the court's opinion reads, it almost suggests that the higher up in the corporate food chain an employee is, the less likely that employee could potentially harm a legitimate business interest by competing. Taking the opinion to its next logical step, those employees who are much junior to Visentin are more likely to be restrained and have non-competes enforced against them. I don't understand this. Most courts when dealing with this issue reach a fairly simple conclusion. The executive was provided access to a wide range of confidential business information. Whether he tries to take it with him and use it to the company's detriment is not dispositive. This case is the complete flip-side, buying the defense's (well-crafted) argument that nothing IBM identified as confidential was at risk for disclosure. The case points out the need for employers who are attempting to enforce non-competes to show with precision what threat exists from not having an injunction issued. It also illustrates why employers need to articulate clearly the legitimate interest underlying the covenant. In this case, I think IBM did the latter, but not the former.